The Cashtec RS2000 money scales will count the contents of a till drawer in less than one minute. 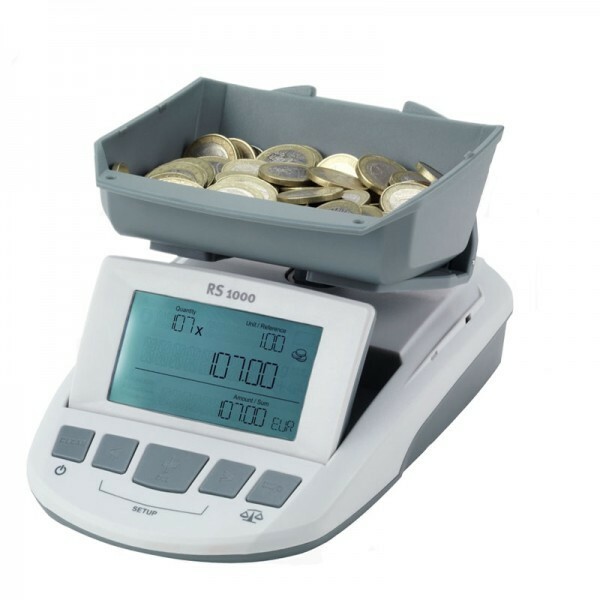 The Cashtec RS money scales will count the contents of a till drawer in less than one minute. The scales are portable and due to their adjustable display the counting procedure can be done standing or sitting and in light or dark environments. There is no need to press any buttons during the entire counting procedure. The subtotals are added automatically into a total sum.The RS is one of the easiestmoney scales on the market to operate, with its intuitive menu it will allow the user to configure to choice. There is also no need tosend back to the manufacture for any service issues such as calibration as this can be done easily by untrained staff. Click the button below to add the Cashtec RS2000 Coin & Note Scale to your wish list.